You are here： Home» News» Global» Peking University Successfully Holds a Facing Dialogue: "Publicity and Governance of Property"
Peking University Successfully Holds a Facing Dialogue: "Publicity and Governance of Property"
To celebrate the 120th anniversary of the establishment of Peking University, sponsored by Graduate School of Peking University, co-organized by Peking University Law School and Peking University Legal Economics Research Center, and co-organized by Li Wen who is a lawyer of Global Law Firm, The Public Dialogue Expert Forum with the theme of “Property on Publicity and Governance” was successfully held at Koguan Building, Peking University Law School on April 14, 2018. 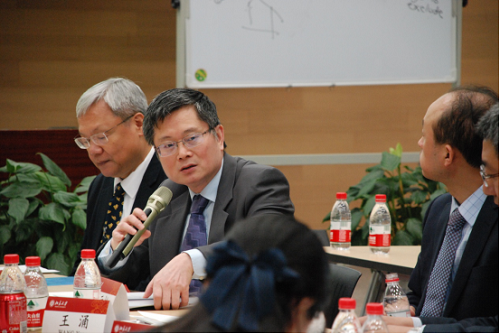 In this forum, Professor Gregory S. Alexander of Cornell University Law School and Professor Su Yongqin of Taiwan University of Political Science was invited as the main dialogue person, and nearly 40 excellent young and middle-aged scholars in related fields in China participated in the discussion. And more than 100 students attended the meeting. 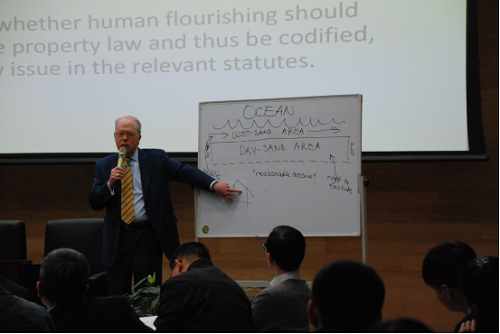 They focused on the collisions and exchanges between the concept of Civil Law and the concept of Anglo-American law around the three units of this forum, and extended to the deep theoretical foundation of property rights. Philosophy, sociology, economics and other social science theories were able to Connected. 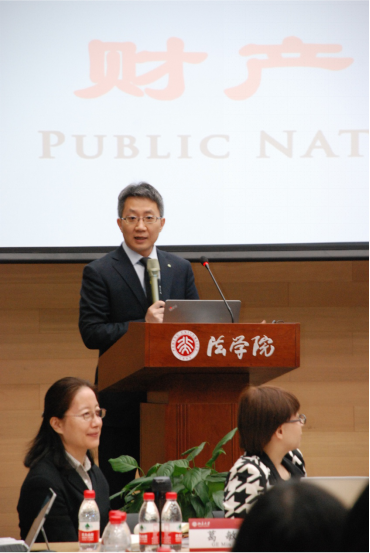 At the opening ceremony of the forum, Prof. Xue Jun, the deputy dean of Peking University Law School, Prof. Guo Li, the deputy dean of the Peking University Law School, and Prof. Deng Feng the principal contractor of Peking University Law School, made a speech of welcome. 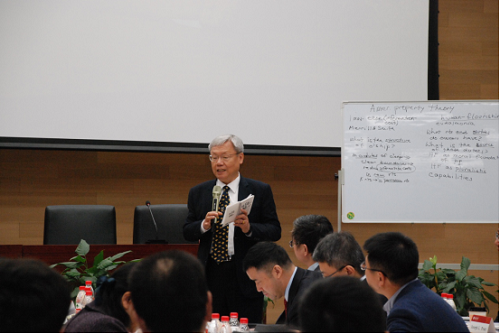 Prof. Xue Jun first extended a warm welcome to the participants and introduced the background of the setting up of the Dialogue Expert Forum and its origins with the School of Law. 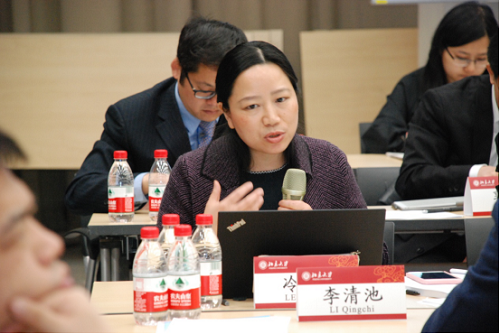 Prof. Guo Li pointed out the significance of this issue. 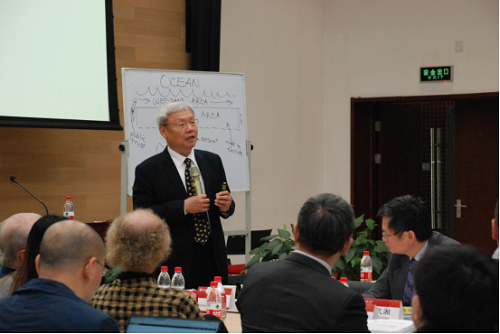 Prof. Deng Feng outlined the background of the debate on the issue between China and U.S. 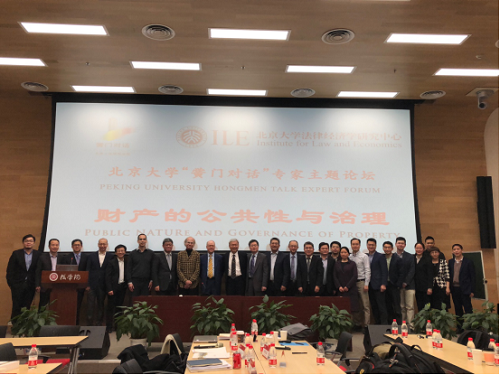 The theme of the first conversation was "Right bundle theory and single ownership", hosted by Prof. Ezra Mitchell of the School of Law of Shanghai University of Finance and Economics. 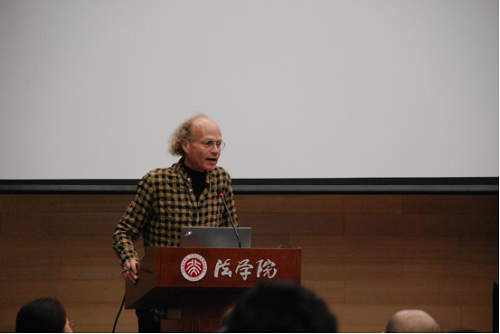 The keynote speaker was Professor Alexander. 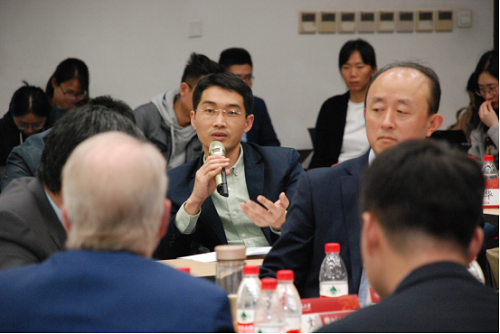 Professor Su Yongqin, Professor Leng Jing of East China University of Political Science and Law and Professor Wang Yong of China University of Political Science and Law responded him. 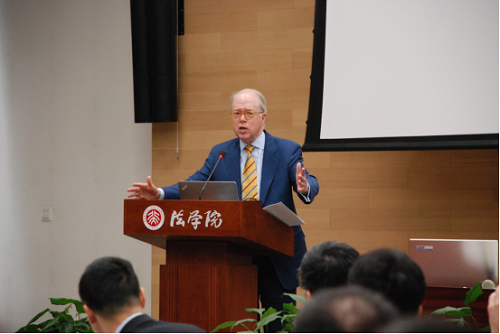 The theme of the second dialogue was “The Nature of Real Right: Exclusivity or Governance” hosted by Prof. Wang Yong of the China University of Political Science and Law, the keynote speaker was Professor Alexander. Prof. Su Yongqin responded him. 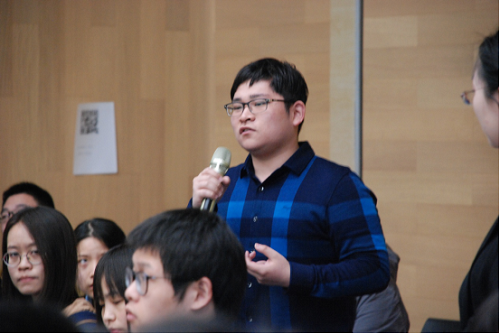 And many students raised questions. 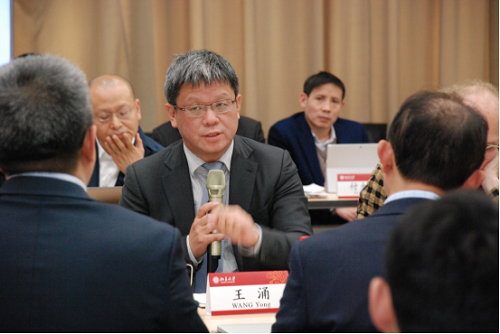 The theme of the third dialogue was “The Issue of the Establishment of Chinese Civil Code under the Frontier of Property Rights Theory”, hosted by Professor Liu Kaixiang of the School of Law of Peking University. 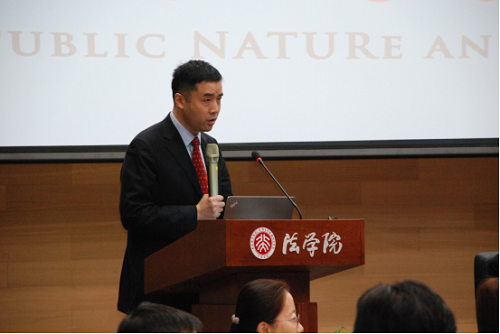 The keynote speaker was Prof. Su Yongqin. 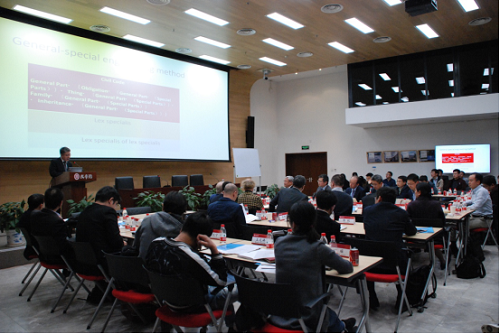 After the keynote speech, many participating scholars discussed the viewpoint mentioned by Prof. Su Yongqin. 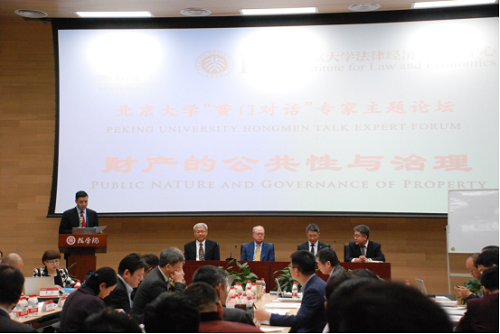 Prof. Shen Wei, dean of the Law School of Tsinghua University, Prof. Ge Yunsong of the Peking University Law School, Professor Wang Yong of the China University of Political Science and Law and Assistant Professor Xiong Bingwan of the Law School of the Renmin University of China all spoke. 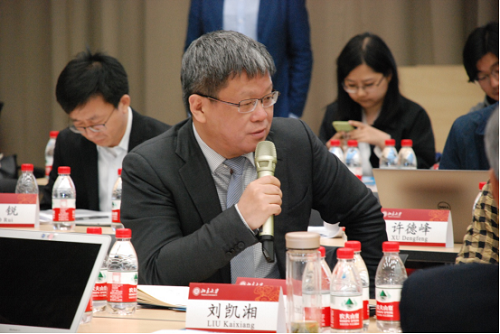 Prof. Deng Feng made a closing remark and mentioned that scholars must maintain a keen observation on new issues of reality and hold constant continuation of speculative power on theory. 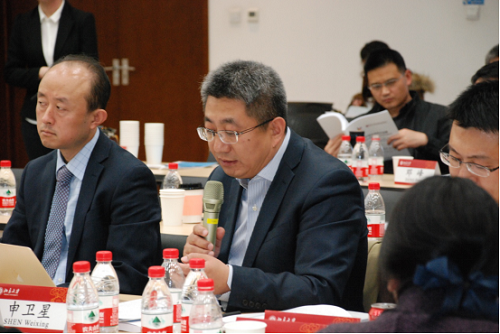 After the meeting, scholars continued the discussions. The attendees of this forum have expressed great results. 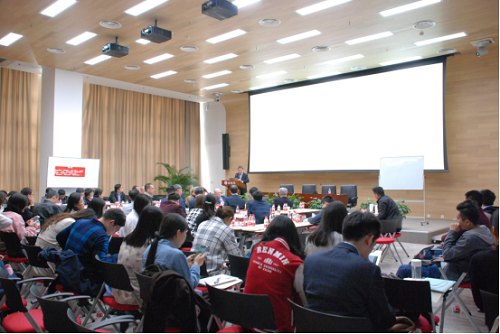 Hongmen Forum is a series of high-end academic forums organized by the Graduate School of Peking University. It aims to promote inter-discipline communication through dialogues. It also inspires students, especially those engaged in research, to be interested in and discuss the frontier issues of human society and civilization. 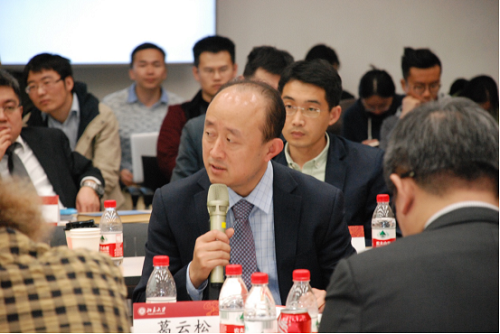 The “Public Property and Governance of Property” organized by the Law and Economics Center of Peking University with the basic rules and theories of the two major legal systems achieved a complete success.